Jay, chair of the Labor and Employment Practice Area, devotes his practice to labor relations and employment law and litigation on behalf of management. His experience includes conducting trials, hearings, arbitration and mediation sessions; responding to state and federal administrative agency charges; collective bargaining; drafting employment-related corporate documents such as restrictive covenants, employee handbooks, employment agreements, various stock and compensation plans, and separation/severance agreements. He counsels employers on all employee relations issues including, but not limited to discrimination, hiring, terminations, reductions in force, whistle-blowing, diversity, wage and hour claims, breach of contract, tortious interference claims and employee benefits issues. 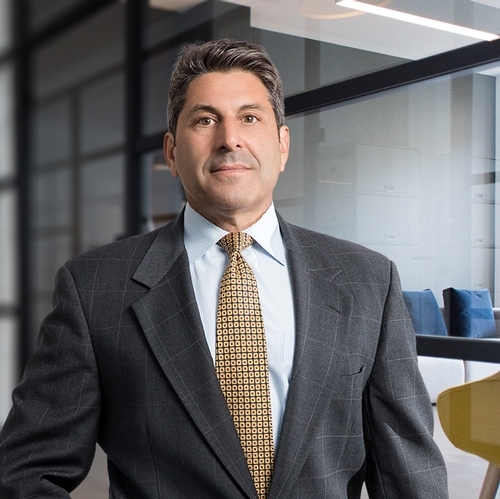 Jay is also the co-author of the New Jersey Labor and Employment Law Blog, which is dedicated to providing news and updates regarding all labor and employment matters throughout New Jersey. Does paid time off count for overtime calculation purposes? "'Alexander V. Seton Hall University': Refusal To Depart From Precedent Aligns The New Jersey Law Against Discrimination With The Lilly Ledbetter Fair Pay Act Of 2009"
"'Roa V. Lafe': Post-Employment Retaliation Claims And The Continuing Violation Theory"
Can a public employer search an employee's text messages? Is a New Jersey employer legally required to pay a terminated employee the value of any accrued yet unused vacation time? Do The Provisions in the 2009 Stimulus Package Apply to Small Employers in New Jersey? Do New Jersey employer's need to reasonably accommodate the use of medical marijuana? "Alexander v. Seton Hall University: Refusal To Depart From Precedent Aligns The New Jersey Law Against Discrimination With The Lilly Ledbetter Fair Pay Act Of 2009 "
"Retaliation Actions Under Title VII, CEPA and LAD"
"New Jersey Supreme Court Holds That Contract Employee May be Discharged for Subjective Reasons"
"NJ Goes Its Own Way on Mandatory Arbitration Clauses in Employment Agreements"